This high quality 40" - 65" Flat Screen TV Wall Bracket is ideal for mounting your new LCD or Plasma TV to give you a cinematic viewing experience. The adjustable tilt of this TV bracket allows you to watch TV from just about anywhere in your room and saves space of display cabinets and entertainment centers. 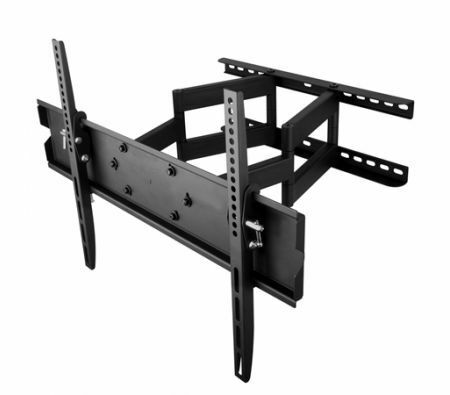 This wall mount adjusts to any VESA compliant TVs between 40" to 65". With a 12 degree tilt and a 40 to 45 degree swivel this bracket is provides prime viewing angles. Perfect for home theatres, bedrooms or boardrooms!